The 2017 hurricane season was like no other in history. Many faced devastation unseen in recent history. For commercial property owners, having professional risk advisors and the right insurance coverages offered better recovery experiences and quicker relief, even as impacts linger. According to National Geographic, 2017 was the most expensive hurricane season in history. In the United States alone, residential and commercial damages from 17 named storms exceeded $200 billion, almost $60 billion more than the previous record set in 2005 with its 28 storms, including Hurricane Katrina’s devastation of New Orleans. The deadly trio of Hurricanes Harvey, Irma and Maria account for the majority of the damage. Harvey, Irma and Maria each wreaked havoc in its own unique way. Harvey brought massive flooding, Irma wrought deadly storm surges and Maria carried catastrophically high winds. Harvey hit land in Texas on August 26. Within six days, the storm dumped an estimated 27 trillion gallons of rain over Texas and Louisiana, causing flooding unseen since Hurricane Sandy. The death toll is estimated to be at least 82 people and total damages are estimated to be at least $75 billion. Between September 6th and September 11th, Hurricane Irma, one of the most powerful Atlantic Ocean storms on record, hit several islands in the northern Caribbean and then struck Florida’s Gulf Coast, causing further destruction. Estimated property damage is up to $65 billion. The last of the deadly storm trio, Hurricane Maria, a category 4 storm, bisected Puerto Rico with a direct hit on September 20. With winds of 155 miles per hour and rain lasting more than 30 hours, the impact destroyed much of the island’s infrastructure. At one point, Puerto Rico lost 100% of its power. Death tolls vary widely, according to source. Damages are estimated to run as high as $90 billion. The media chronicled the disasters and the recovery efforts. In the US, relief efforts went into high gear following Harvey and Irma. Organizations mobilized and government assistance moved swiftly. FEMA had supplies and personnel on the ground in Texas before Harvey made landfall. Within days following the storm, 31,000 relief workers were deployed. FEMA supplied 3 million meals and 3 million liters of water in Texas. Within four days of Hurricane Irma’s landfall in Florida, 40,000 federal personnel were in place. FEMA transferred 6.6 million meals and 4.7 liters of water immediately following the storm. Puerto Rico’s relief efforts did not fare as well. Prior to storm destruction, Puerto Rico was bankrupt and many of its systems and processes were inefficient. This combined with delays in aid and materials gave rise to serious health issues, business impacts and more. FEMA had 10,000 personnel deployed to the island and its neighboring islands in the days and weeks following the storm. In October, almost a month after Maria’s landfall, President Trump signed a relief bill giving up to $4.9 billion in loans to help Puerto Rico’s government. Experts estimate that it will take years before damages are repaired. Despite best efforts by governmental agencies, disaster relief organizations, volunteers and others, delays hampered and continue to hamper recovery across the areas impacted by Harvey, Irma and Maria. Shortages of materials, labor and transportation translate into longer timelines, differing project priorities and in some cases, abandonment of rebuilding efforts. As with all news stories, media coverage lessens over time. While each hurricane garnered headlines for days and weeks, six months later the attention of the world has shifted. While residents work to rebuild lives and homes devastated by the hurricanes of 2017, commercial enterprises also face challenges in rebuilding, re-opening and operating commercial properties. As businesses clean up and recover, the impact will be felt for years. 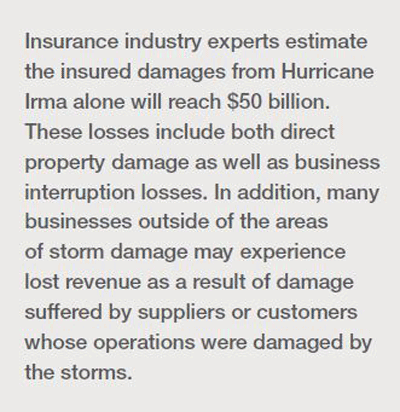 Businesses affected by hurricanes face direct property damage and business interruption damage. Many suffer lost revenue as suppliers and customers may also have faced damage by the storms. For owners of multi-tenant space, tenants may sue for lost revenue and cost of leasehold improvement replacements. Being prepared is more than a Scout motto. 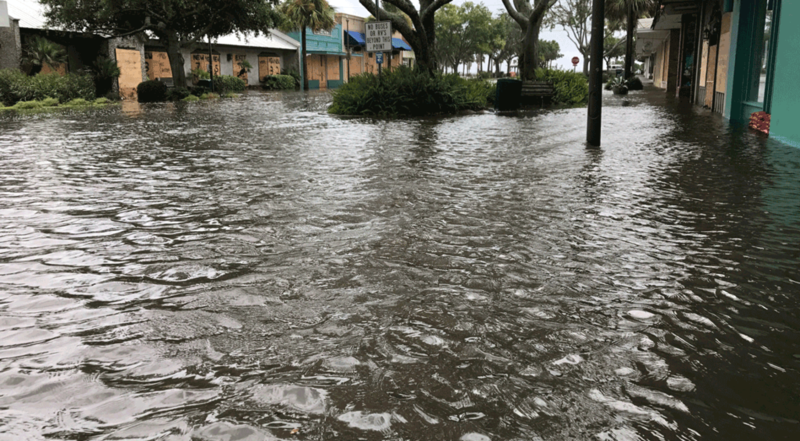 While each situation is unique, in times of commercial recovery from hurricanes, being prepared is key to risk management and ultimately, faster business restoration. Unlike other disasters such as fire, hurricanes are predictable. For example, Florida businesses had five days prior to Irma’s arrival to prepare for the actual storm. While this timing can be helpful in terms of information gathering and contingency planning, the lag time can also cause more revenue loss due to evacuations and closed businesses prior to the actual storm damage. As businesses began the process of clean up and recovery, many found their progress slowed by worker and supplier shortages and payment delays. The importance of working with professional risk managers and advisors to smoothly avoid unnecessary slowdowns is illustrated below. WORKER SHORTAGES When shortages occur, “smaller” jobs or jobs needed by unknown businesses may get shortchanged by being placed at the bottom of a disaster recovery firm’s project list. A risk management partner will know the ins and outs of the specialized restoration industry in a particular geography and can help get clients’ projects VIP treatment for faster completion at fair costs. SUPPLIER SHORTAGES Even if a particular business is not directly in a hurricane’s path, suppliers may face shutdown or slowdown as a result of storm devastation. Your risk manager partner can help vet suppliers and make contingency plans for secondary sources of materials to keep a business operational. PAYMENT DELAYS As carriers get hundreds of thousands of claims following a hurricane, resources are stretched thin. A professional risk manager will have the expertise and influence to get clients’ claims paid quickly. REDUCE EXPOSUREBuy down options are gap coverage that sits between a primary policy and the policy holder. For example, in a high wind area, there is a significant probability of significant loss due to wind damage. Using a 3% deductible for a $10 million commercial building results in $330,000 deductible on the primary policy with Carrier A. The building owner purchases a buy down policy from company B to cover 1.5% of the deductible. When wind damage occurs, the policy holder submits claims to Carrier A and Carrier B and reduce his out of pocket expenses by $150,000. CONSIDER EXTRA EXPENSESIn times of disaster, costs beyond commercial property will occur. Extra costs are not limited to and will probably include travel, lodging, temporary office space, professional service fees, etc. It is critical to consider and forecast what extra costs will be incurred to run a business if disaster strikes. CUSTOMIZE COVERAGELandlords have different risk exposures than those faced by owners with owner-occupied property. need different coverage than an owner-occupied commercial space. Tailoring coverage to include the nuances of leases can add a level of protection to the owner-occupied building owners. OVERCOME THE LIMITATIONSGeneral liability coverage is not enough for most disaster situations. As the commercial market continues to evolve and emerging risks are on the rise, policy language and endorsements are evolving, too. UNDERSTAND TIMINGEvery year, the National Weather Services issues a weather forecast report for the next hurricane season. While there is no crystal ball, the science behind these predictions is sound. Reviewing the report now could help prepare for the next dangerous storm season. By most estimates, areas continue to recover from the devastation of last year’s hurricane season. The slow-moving process lumbers along in the United States particularly. In the Caribbean islands, businesses are re-opening and tourists are returning. While the devastation continues to disrupt businesses and reshape lives, progress is being made. Another hurricane season will begin soon. Having a risk management advisor with the experience and knowledge to protect your commercial property can make the difference between business survival and devastation. Oswald’s real estate practice works with clients to advise and recommend the coverages to protect businesses from the potentially devastating impact of natural disasters. John Mark Tichar is responsible for identifying companies which would benefit from Oswald’s best in class services. 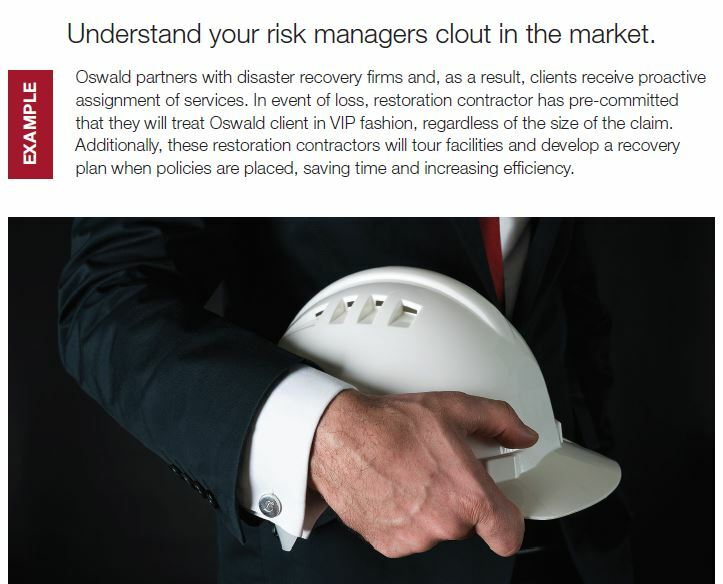 He explores opportunities for Oswald and clients to collaborate on long term, cost effective Risk Management solutions. 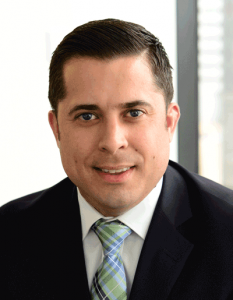 He started his insurance career in 2008 in Chicago targeting manufacturing, commercial real estate and nonprofit organizations. Connect with John Mark on LinkedIn.